In this installment, I am going to walk through the process of connecting GO to the Snowflake Data Warehouse Service (DWaaS). This tutorial requires that you have a Snowflake account. You can sign up here for a 30 day/$400.00 trial. A valid GOPATH is required to use the `go get` command. 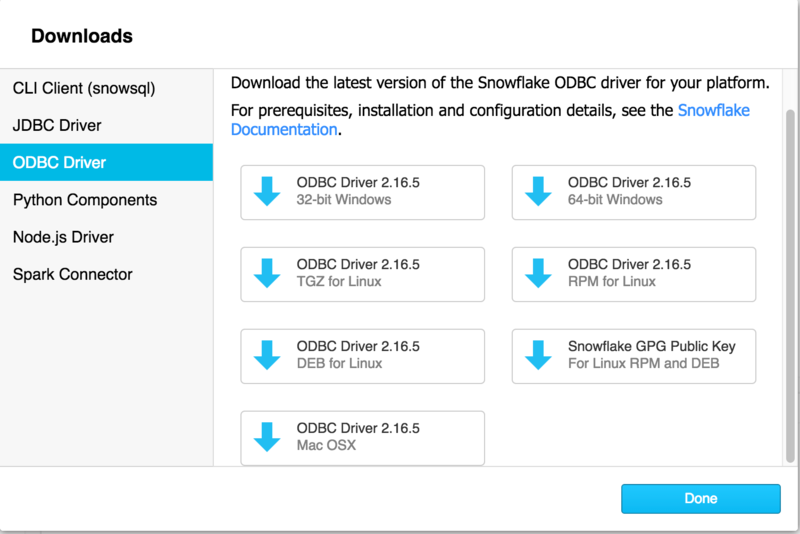 Get Gosnowflake source code and dep (dependency managment tool), if not installed, and ensure the dependent libraries are installed. If you have all of your path information configured correctly, this should be okay for you test a connection. This test program will simply attempt to connect to the Snowflake data warehouse. There are three parameters required for connecting to Snowflake via GO and the select1.go test file. The function above comes from the select1.go test file. You should notice that the env function for account, user, and password pass a true parameter. These are values read from your O/S environment variables. I created a shell script to set these values for testing purposes. $ go run select1.go Congrats! You have successfully run SELECT 1 with Snowflake DB! Congrats! You have successfully run SELECT 1 with Snowflake DB! If you see the Congrats! message, then congratulations, you have successfully connect to the Snowflake Data Warehouse Cloud Service.